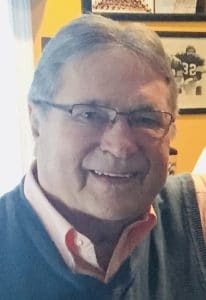 Alan W. Hecht, age 82 of Jefferson Hills passed away surrounded by family on Thursday, April 4, 2019. He was born on January 29, 1937, son of the late Edith and Wade Hecht. 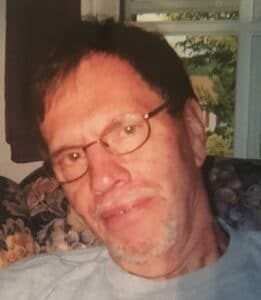 He was the beloved husband of Linda Hecht for 41 years; loving father of Corinne (Jeff Ryan)Griffin, Alan W. (Cathy) Hecht Jr., Todd (Antoinette) Hecht, Wendy (Brian) Hultman, Kirsten (Larry) Berger, Mary Katherine Hecht, Michelle (Jay) Kotlinski, Kristy Hecht; cherished grandfather of 18 grandchildren and 2 great grandchildren; and dear brother of David, Bill the late Bob. Alan was devoted to his Lord, wife, family, and church family at Jefferson United Presbyterian. He was a retired Port Authority bus driver and proud US Air Force Veteran. But most of all he enjoyed spending time with his family and will be deeply missed by all who loved him. Family and friends are welcome on Monday, April 8, 2019 from 1-3 pm and 5-8 pm at Pittsburgh Cremation & Funeral Care, 3287 Washington Rd., McMurray, PA 15317, 724-260-5546. A celebration of Alan’s life will be held on Tuesday, April 9, 2019 at 11 am at Jefferson United Presbyterian Church, 716 Gill Hall Rd., Jefferson Hills, PA 15025, officiated by Dr. Larry Ruby. EVERYBODY PLEASE MEET AT THE CHURCH. Internment will follow at The National Cemetery of the Alleghenies with full military honors. In lieu of flowers, memorial contributions may be made to Jefferson United Presbyterian Church. Kristy I am very sorry for your loss. My thoughts and prayers are with you and your family during this time of sorrow. Kristy, hello dear friend. I am so sorry to hear about your father. May happy memories bring you and your family peace. I am sorry for your loss, but joyful that he is now in the presence of our Lord. May God give you comfort and peace. My condolences Corrine, to you and your family. Sorry for your loss. My thoughts and prays are with you and your loved ones. Blessings to the Hecht Family as they celebrate the special life and peaceful transition of Al Pap Hecht. He was a unique soul who filled so many roles in his family and was greatly loved by each and everyone. My son, Brian, enjoyed Pap’s sense of humor and the time they spent together. Our family appreciated his kindness and friendship. May love and healing surround everyone. Al taught the Adult Sunday School class at Jefferson United Presbyterian Church for many years. Needless to say, his faith was strong. In addition, he was a tremendous supporter of the causes of the Church. I thank Al for his friendship, he will be deeply missed at Jefferson Hills Presbyterian Church. My condolences go out to Linda and his children.